With spring in the air, your new year is well under way. This is a great time to plan a team meeting to evaluate the progress you’ve made so far, and create a detailed plan for achieving the rest of your goals this year. If your business is in Baltimore or the surrounding areas, then you should call NPRMC to see which one of our spaces is right for your meeting. Continue reading to learn how to determine the right room for your meeting needs and call today to schedule your free tour. It is important to analyze the layout of the meeting room as well as the size and number of available displays. If your group is rather large, then you may need one large screen, along with some additional smaller screens, to comfortably accommodate everyone. As you consider the size of the screens that you will need, it’s important to also consider the number of screens in the meeting room so that everyone is able to easily view the videos and other information that you will be sharing. You want to make sure that everyone is able to follow along with the presentation and interact with what you’re sharing. There are a number of different meeting room layouts and designs. Depending on the number of people in your group, as well as the type of information that you need to cover, it is important to consider which layout will best serve your purposes. 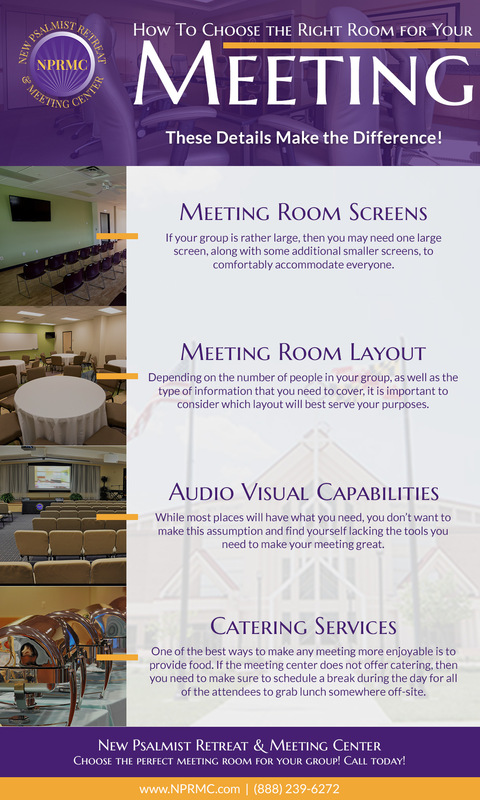 Some of the most common meeting room layouts include these arrangement styles: banquet, classroom, theater, boardroom, convention, and U-shape. Call NPRMC in Baltimore today to hear about the variety of meeting rooms we can offer your group. Most of us take for granted that every meeting room will have the lighting and sound capabilities that we need. While most places will have what you need, you don’t want to make this assumption and find yourself lacking the tools to make your meeting great. Make sure to ask what lighting options are offered in the meeting room as there may be times when you want one part of the room to be dimmer than another. Additionally, ask about the audio-visual capabilities to ensure that you have the quality of sound you need. One of the best ways to make any meeting more enjoyable is to provide food. If you plan on providing food, then you definitely want to make sure that the meeting center offers catering services. If the meeting center does not offer catering, then you need to make sure to schedule a break during the day for all of the attendees to grab lunch somewhere off-site. When you reserve a meeting room at NPRMC in Baltimore, you won’t have to worry about trying to get everyone back on time for the second half of the day. We proudly offer the professional catering services you need. Call today to request a proposal. 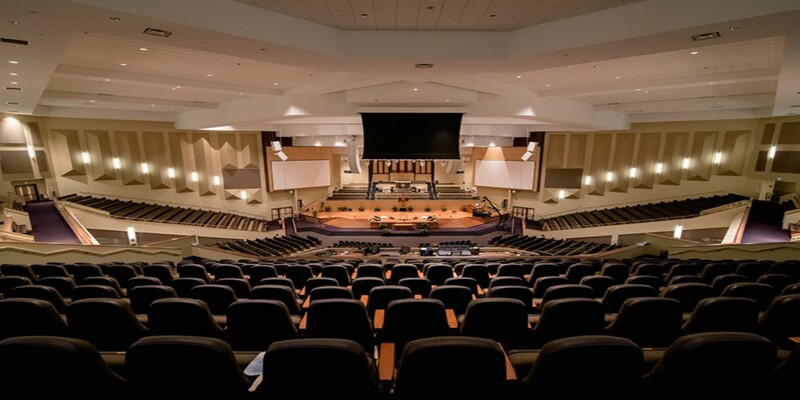 NPRMC is the leading conference center in the Baltimore area. Whether you need a theater-sized room for your meeting, or a small banquet-sized area, we can accommodate your meeting room needs. Call today to see all that we have to offer you!